Helen Rappaport pierces the romantic veiling swaddled around the daughters of Nicholas II to present a pleasing, if sobering look at the four lives brutally ended one night in the summer of 1918. I’m not a Romanov buff by any means, but I’ve always had a soft spot for the Imperial Family and their lost world (Fox’s Anastasia (1997) is one of my favorite movies). When I downloaded this book to my Kindle, I didn’t know what to expect–the discovery of Anastasia’s remains in 2007 closed the case on the many imposters, and Rappaport certainly wasn’t going to mine rumors about Rasputin, was she? Thankfully, Rappaport didn’t dwell on either. Instead, she drew a balanced, yet sometimes frustrating portrait of four young women raised at the highest echelons of society by warm, kind-hearted parents who were horrible rulers. The sentimental portrait of Nicholas and Alexandra’s great, abiding love is brought to earth to a startling degree, and the reality of their characters played out amongst their five children. The family of Nicholas II was very close and tight-knit, and the love between them all was intriguing to read in light of the stereotypical image of the stern, emotionally distant Victorian/Edwardian paterfamilias. But in the context of their time–which Rappaport paints very well–their extreme insularity brought their downfall. There were times when I wanted to reach through the text and shake Empress Alexandra for her neglect and sheltering of her daughters, her obsession with her son and the throne, and her devotion to autocracy. There were times when I wanted to shake Olga, whom Rappaport claims was the most sensitive and astute of the four daughters, especially as Russia drifted towards the Revolution. My frustration was especially piqued when the Grand Duchesses kept getting sick at moments of crisis! I suppose illness was a constant presence in the days before vaccinations, but I couldn’t help but feel that the Romanov sisters were subconsciously susceptible to debilitating illnesses when beneath emotional strain (and it possibly was the only time their mother got out of bed and paid attention to them). However, there are lots of charming, cheeky moments in this book. Rappaport draws from reminisces and letters they sent to friends over the years to paint as deep a portrait of Olga, Tatiana, Maria, and Anastasia as one can without lots of primary resources (I was arrg! when reading passages of the sisters burning their diaries and letters in 1917-18). There is some repetition of their characters traits Rappaport presumes from extant sources, but it kept the sisters at the center of the tale even when chapters detailed the obsessive, fearful motherly love Empress Alexandra had for her only son. It was also intriguing to read about Rasputin through their eyes: I still can’t get a bead on him, but their grief when he is murdered in 1916 is palpable nearly one hundred years later. Rappaport ends The Romanov Sisters as they are heading downstairs to the cellar of the Ipatiev House, for which I am thankful–it would have been difficult to read the gory details after being in their heads for 500+ pages (Rappaport has written about the fortnight leading up to murder in The Last Days of the Romanovs: Tragedy at Ekaterinburg). 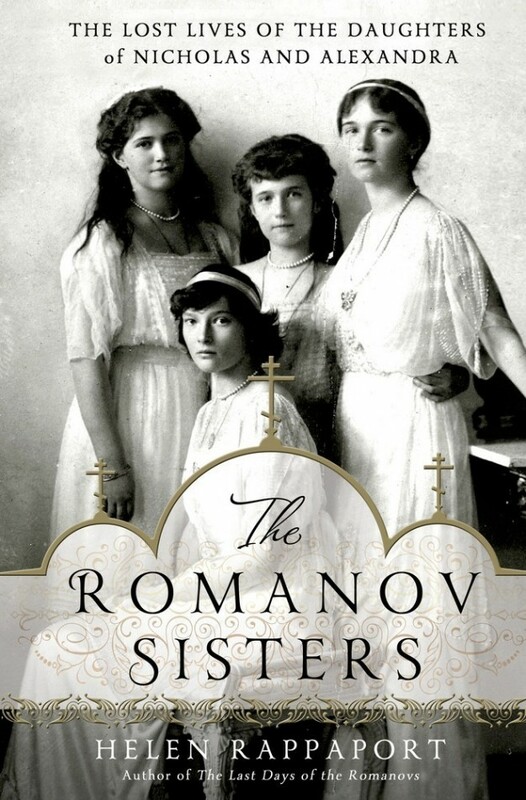 The mark of a great biography is one that effortlessly weaves the historical, cultural, and socio-political context into the subject’s life, and in The Romanov Sisters, Rappaport does just that.